Maude has reinvented itself. The 25-seat restaurant has been redecorated with dark navy blue banquettes and customized chairs and the walls have been painted navy blue as well. Gone are the fresh bouquets of flowers on the counters and dried flowers hanging from the walls. The walls are now lined with black and white photographs, some picked up at flea markets and others of members of the Maude team on their culinary travels. The space is elegant, warm and inviting. 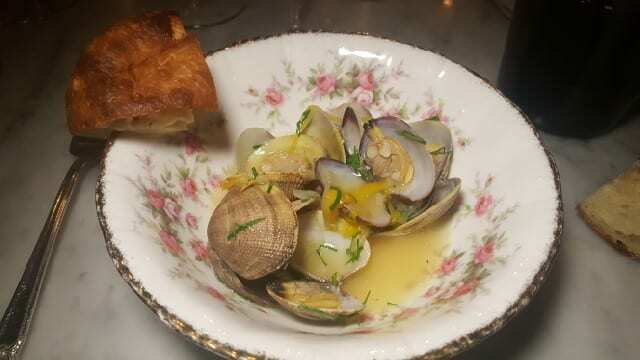 The other new change is that instead of changing the menu monthly and featuring a singular seasonal ingredient, Maude is now focused on representing a wine region somewhere in the world and creating a menu inspired by the time the team spends there. These new menus will be offered quarterly and to start off 2018, Rioja, Spain was the selected region. The overall experience with the new regional theme was exceptional. The entire meal flowed so naturally. 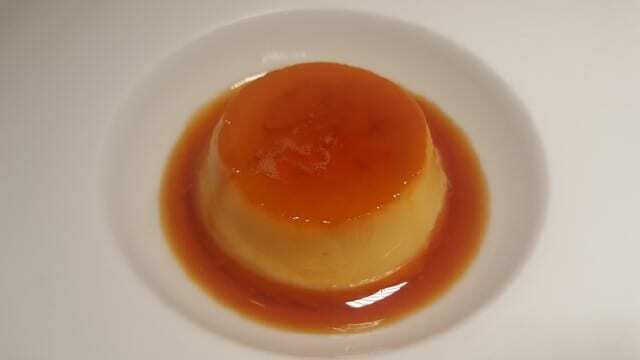 Instead of learning how the seasonal ingredient was used in each dish, we were told a story of what inspired the dish. 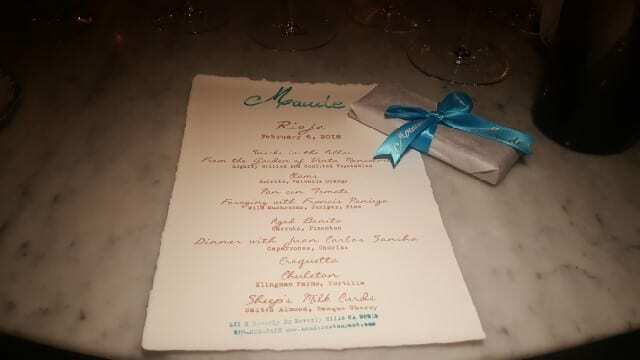 As each dish was served, a member of the Maude team would introduce the dish and tell us something about their trip to Rioja. 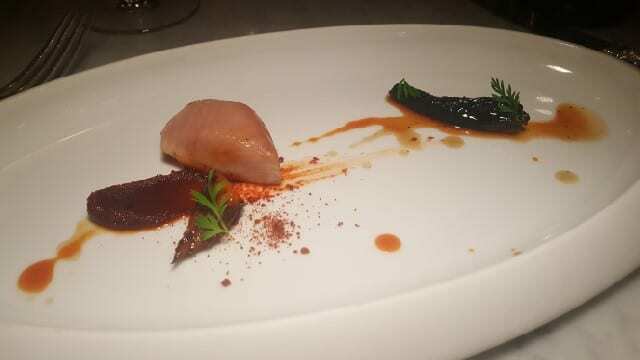 Understanding the meaning behind the dish enhanced the flavors. And the Rioja menu was a home-run! When I arrived to Maude, I was escorted next door and taken up a flight of stairs to Maude’s wine storage room. Wine lined the walls, but the room was more than a wine storage space. It was warm and inviting with music playing, leather couches and antique chairs and an upright piano in the corner for anyone who can play it. We took a seat at a long wooden table and our Maude Rioja experience began. We were welcomed with a Vermouth cocktail or a glass of Cava. 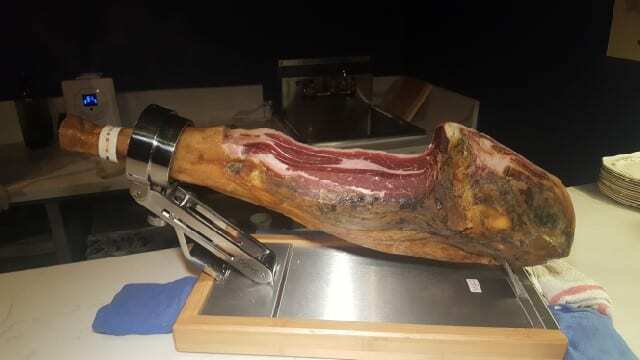 A leg of Serrano ham sat on the counter and the chef sliced a few pieces and served it with olives and Marcona almonds. After our snacks, we moved back downstairs to the restaurant and took our seats at the table. Maude offers three wine pairing options – Crianza, Reserva and Grand Reserva. 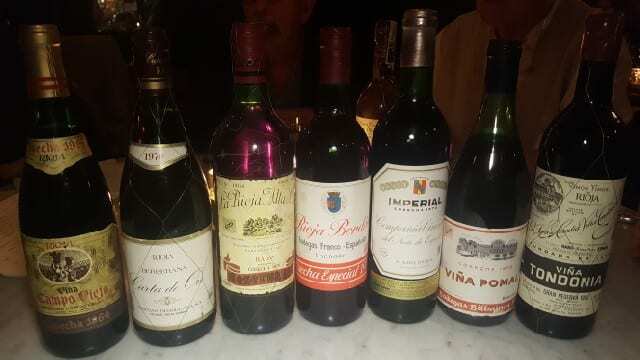 However, my dining companions for the evening all brought bottles of old (1964, 1970, 1976 and 1985) Rioja to share at dinner. If you bring in wine from the featured region, Maude will waive the corkage fee for approximately one bottle per two people. 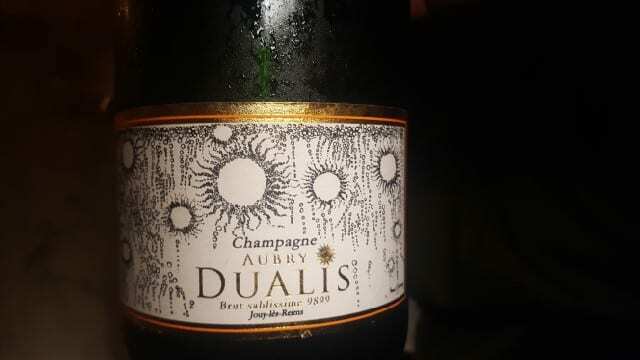 As per most meals at Maude we started with a bottle of Champagne Aubry Dualis Brut Sablissime 9899, a Champagne with beautiful weight on the palate. 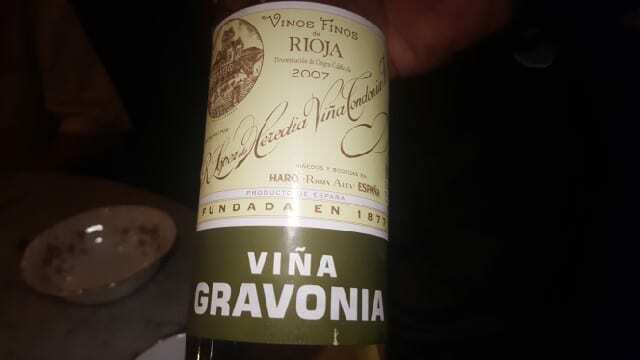 We then ordered a bottle of R. López de Heredia Viña Tondonia, SA Vina Gravonia 2007, a white Rioja which paired beautifully with the next few courses. 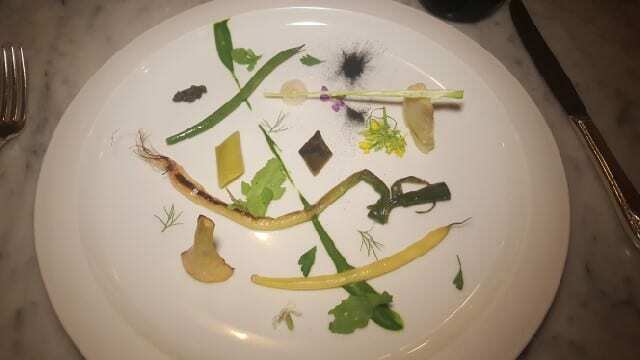 From the Garden of Venta Moncalvillo – Inspired by a meal the team enjoyed at Venta Moncalvillo, a simple plate of lightly grilled and confited vegetables were meticulously placed on a large white plate. 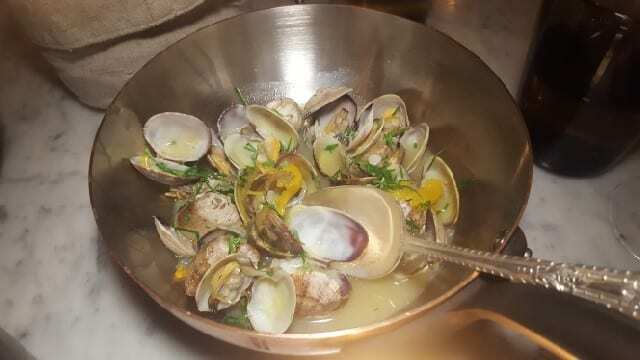 Clams with sofrito and Valencia orange – The team tasted Bodega Juan Carlos Sancha Ad Libitum Tempranillo Blanco, Rioja DOCa, Spain, the unique Tempranillo mutation Tempranillo Blanco which inspired this dish. The broth was so unbelievably delicate and the citrus notes added a perfect finish. Pan con Tomate – This traditional dish is found everywhere in Spain, so Chef Justin took a modern approach with this tomato water meringue with garlic puree. 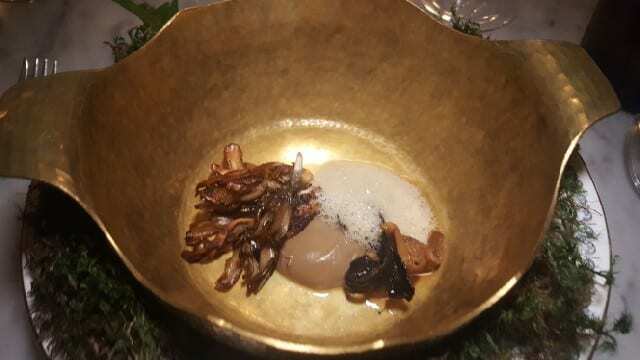 Foraging with Francis Paniego – Chef Justin spent time foraging in the hills of Rioja with Chef Francis Paniego on a misty morning which inspired this dish of wild mushrooms, juniper and pine. The sweet-smelling aromas jumped off the dish as the lid was removed to show us what was inside. Dinner with Juan Carlos Sancha Serrano – General Manager Ben Aviram recalled visiting the winery of Juan Carlos Sancha who focuses on biodiversity. They went out to the vineyard where they visited 95-year-old vines and did not return for lunch until 6pm that day. 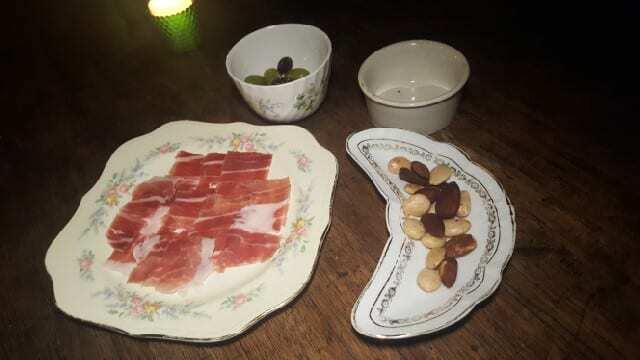 They were served red beans with chorizo and pigs ears and Chef Justin ate two bowls and then the team headed off for a 9pm dinner. 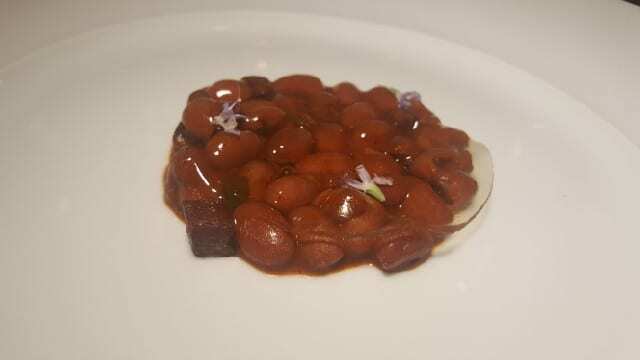 In honor of this day, the dish was red beans with chorizo and pig ear with a ham gelee on top that melted into the beans. 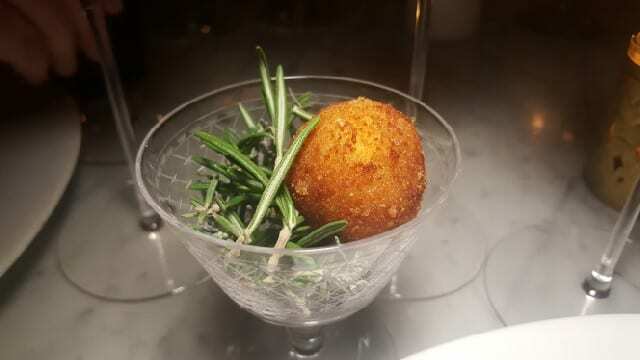 On the side, we were served a Serrano ham liquid Croquetta that we ate in one bite and the liquid exploded in the mouth. 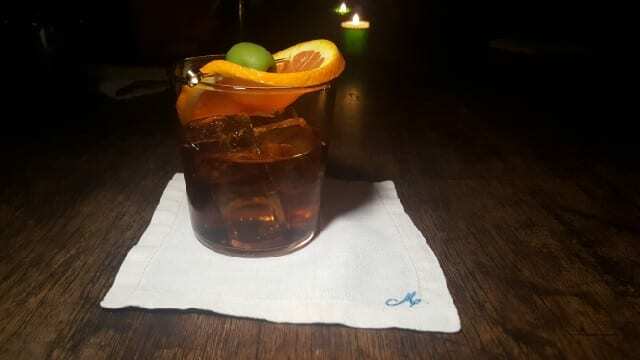 Chuleton – The first night that Chef Justin and General Manager Ben arrived in Riojo, they had one free night before the itinerary was to start. 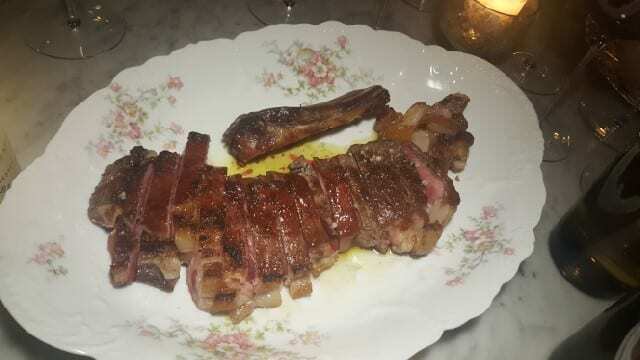 They did not find many restaurants open on a Monday night but found a little restaurant where they enjoyed the classic dish chuleton, a large steak from old grass-fed dairy cattle cooked on an open-fire grill. Little did they know that it would be a dish that would eat almost every night for the next week. 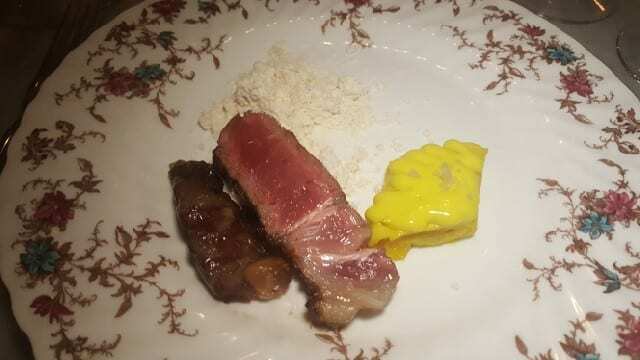 While they could not access meat from old dairy cattle for this dish, the meat was grass-fed and grain (barley and rye) finished beef from Klingman Farms. The meat was served family style and we placed it on our plates with potato powder and a delicate, melt-in-the-mouth tortilla. 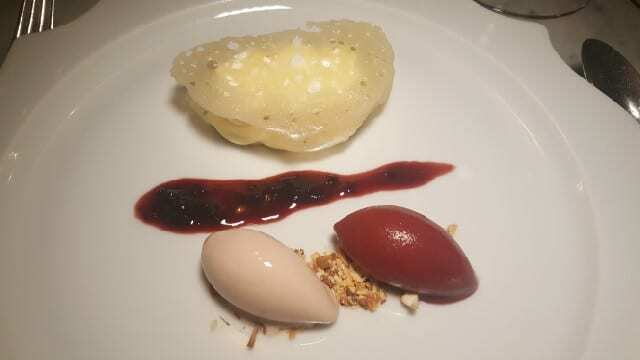 Sheep’s Milk Curds – Inspired by tondeluna, a sheep’s milk cheese from Rioja, the dish was sheep’s milk curd with Basque cherry and salted almonds. To finish off the meal, or “the grand flanale”, as General Manager Ben described it, the meal ended with a cream Catalan with citrus notes. Looking forward to where in the world Maude journeys to in the Spring. 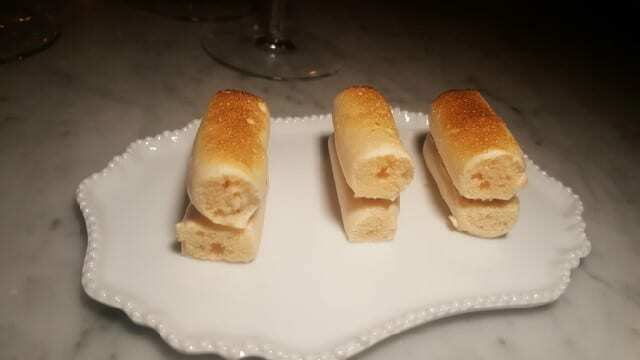 This entry was posted in Food, Wine and tagged food, Maude, Maude Restaurant, Rioja, Rioja wine, tasting menu, Wine by Allison Levine. This actually looks even more elevated and inspired than the previous concept. Excited to get back there soon!